This collection contains 122 Seamless SketchUp Materials. 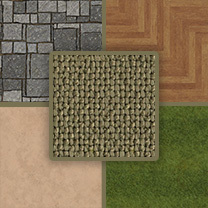 The collection includes furnishing fabris, leathers, wood floors, lawns. plasters and bricks. You can also purchase last years Cyber Monday collection which contains over 400 materials.